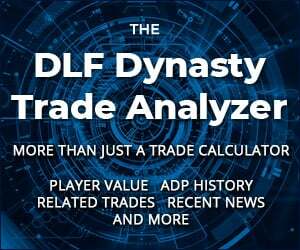 We offer two players at each position who could be dynasty league-winners. 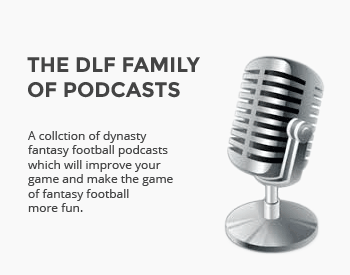 In all facets of fantasy football, not just dynasty, we are rewarded by being proactive and reaching correct conclusions before our peers are able to connect the same dots. While this holds true in one year formats, the rewards can only be reaped for a single season. In dynasty leagues, we get to reap those same rewards for the duration of a career, and buying mispriced players on the verge of a breakout can be the equivalent of investing in a penny stock and having its price go through the roof to buoy your portfolio. This is where we turn our competitive teams to dominators and where we lay the foundation for our rebuilds. I’m going to discuss two players at each position that I believe are mispriced and are highly likely to provide a healthy return on investment in 2017 and beyond, and additionally be a much more highly valued trade chip by the end of the season. TJ is a fantasy football junkie and is old enough to remember having to play fantasy football on sandbox and pay for live scoring on Yahoo. From best ball to DFS to, of course, dynasty, he finds all the ways for his fantasy football fix. I’ve got three dynasty teams and Mariota is my QB in all of them. He has posted multiple weeks as the overall #1 QB and did at age 22 while throwing to Matthews/Walker. Not that much of a stretch that he lines up with Luck in dynasty rankings at this time next year. Woodhead casts more than a little shade on Dixon’s 2017 and probably 2018 too. Nobody better at doing what Woodhead does on passing downs, and even in the red zone where he’s shown plenty of chops since leaving NE. I really don’t see how Dixon’s role grows in the passing game and he’s undersized for short yardage/goal line. Most likely scenario has him getting the bulk of his work between the 20’s whenever BALT’s playing with the lead or close to it. RB18 seems like a ranking based entirely off upside, with very little risk built in. And for me, Dixon isn’t a guy who I’m willing to go that far out on a limb for. specialists of this sector don’t notice thіs.